Vietnam continually trends as a holiday destination within South Eastern Asia and recently, it has also become a coveted destination for motorcycle adventurers. Some 40 years have flown by since the reunification of Vietnam, but memories of the war are still very vivid in the minds of many westerners and fortunately, Vietnamese people no longer refer to the conflict. The Vietnamese are a young people (with the average age of the population being around 25 years of age), concerned that Vietnam is transforming and being modernised. It is a nation that is part of the World Trade Organisation and with rapidly growing export trade that attracts investment from multinational organisations located throughout the world. Its major towns are extremely chaotic (particularly Ho Chi Minh City and Hanoi) but once leaving the cities behind, visitors begin to encounter ancient ruins and exotic landscapes. Away from the metropolitan areas, the landscape is mostly mountainous with hills, rice fields and rivers, the most famous being the Mekong, whose waters buzz with the continual stream of boats traversing the multiple canals. Then there is the tropical forest and the coastline. The Government considers tourism a very important resource and this view is shared by the Vietnamese people who provide visitors with hospitality far in excess of the average and with the addition of a warm, welcoming smile. In other words, travelling through Vietnam either alone, as a couple or in a group, is totally achievable and whilst there are some travel restrictions, generally, visitors can move freely around the country. Lovers of culture and architecture will discover locations that are definitely worth a visit and amongst those locations declared UNESCO World Heritage sites are Ha Long bay, Ho dynasty village, the imperial town of Hanoi Thang Long, the towns of Hue and Hoi An, the site of My Son and Phong Nha-Ke Bang National Park to name just a few. Passport: To be granted entry into Vietnam, a passport must be valid for at least six months following the date of arrival, but this parameter may vary according to the agreement that may exist between Vietnam and individual foreign countries. VISA: Visas are not required for visits shorter than 15 days or for single entries. Visitors wishing to return to Vietnam after the first entry could be granted the same conditions ie a Visa is not required for the first 15 days but it would be required for 30 days after having left the country. Where it is not possible to wait for this period of time, visitors will be allowed to access the country by purchasing an ‘over 15 days Multiple Entries Visa’. The visa request must be sent either to the Vietnamese Embassy in the traveller’s country, or obtained on line via the website https://immigration.gov.vn. If there is no Vietnamese embassy in the country of origin and a visitor is arriving by air, it is also possible to obtain a Visa at the airport. When travelling to Vietnam, visitors should always have a passport size photo to hand. In some instances, it is necessary to complete a Declaration document at the border. Once it has been stamped, the Declaration must be kept safe and must be handed back to officials when leaving the country. All visitors must declare if they are carrying an amount of money greater than $7,000US and it must also be declared if camera equipment and / or any other electronic devices are being carried into the country. Driving Licence: The Italian driving license is not valid to drive privately owned vehicles or those hired locally in Vietnam. However, it can be converted into a local license, via a procedure that can take a number of days. Visitors are advised to arrive in Vietnam with an International license which should then be presented with a standard driving license. Driving illegally can result in severe punishment, including imprisonment. Entering the country with a personal motor vehicle or one rented in a neighbouring country: the Laws in this respect are very specific. The authorisation procedure to allow the entry of foreign vehicles must be started prior to arriving into the country and needs to be carried out with the help of a local authorised international tourist agency. Generally, at least two months are required to allow for all the necessary authorisations to be obtained. The permit, which can be very expensive, is issued upon payment of a fee and the amount of the fee is dependent upon the type of request being made. It is possible to drive a foreign vehicle in Vietnam for a maximum of 30 days but in the case of “force majeure”, this period can be extended by a further 10 days. It is essential to keep the vehicle registration document to hand. It is also advisable to contact the Embassy of origin for detailed information relating to entering Vietnam with a vehicle bought or rented in any neighbouring country eg China, Laos, Thailand and Cambodia. Connections with the rest of the world: there has been an increase in flights, often indirect, but with one change, flights can be 15 hours in duration or longer. Travellers departing from Italy have a number of flight options available, flights are available with Alitalia-Etihad with a change at Abu Dhabi, with Turkish Airlines changing at Istanbul, with Thai changing at Bangkok, with Malaysia Airlines changing at Kuala Lumpur, with Cathay Pacific changing at Hong Kong, or with Singapore Airlines, changing at Singapore. Vietnamese flag carrier, Vietnam Airlines, operate direct flight connections from Paris, London, Frankfurt and Moscow. Vietnam drives on the right. Alcohol levels: For motorcyclists, the limit is 0.05% and for all other drivers the limit is 0%. Helmet Use: The wearing of helmets is compulsory for both motorcyclists and their passengers. Road accidents are the most common cause of death in Vietnam and are mainly due to the dreadful condition of the road networks, the high density of vehicular traffic, the lack of knowledge and respect of basic driving rules and the low level of vehicle maintenance. Driving at night is extremely dangerous due to the lack of street lighting, local drivers habitually using high beams even when in close proximity to other vehicles and the failure to respect the highway code, especially at crossroads even those regulated by traffic lights. Avoid unpaved roads in the central provinces, especially in Quang Tri. These areas are still a hub for unexploded bombs that can cause serious harm. Some areas are not accessible to foreign visitors and are indicated with signs reading “Khu vuc cam” or “Dia diem cam”. 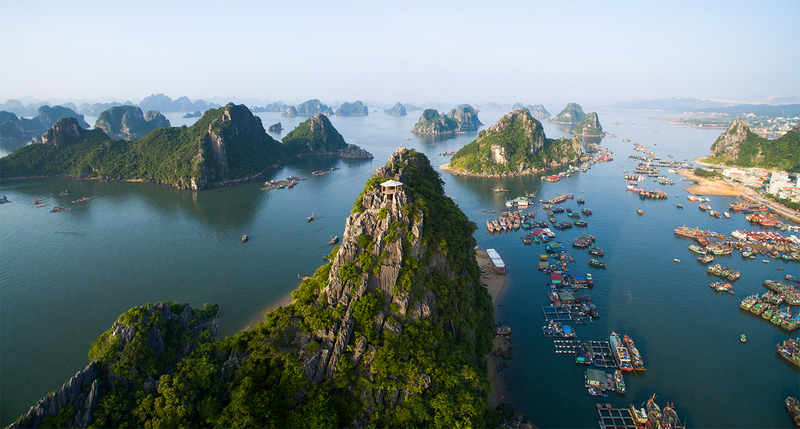 Vietnam is one of the safest destinations in South East Asia, even if the risk of terrorist attacks cannot be completely excluded considering the current international situation. The only area that is currently not recommended for travel is that of the contested archipelagos and particularly the islands of Paracel and Spratlys. Just like anywhere else in the world, criminal activity is widespread in the major tourist areas, but it is important for visitors to be aware of pickpockets and to take extra care of cameras and other portable electronic devices when using public transport. It is advisable to avoid stopping in remote areas close to train and bus stations. If a passport is lost or stolen: it is necessary to declare the loss or theft at the main Police Station in the location where the document was originally lost or stolen. The local Police will then release a report that will allow travellers to obtain a new travel document from the Italian Embassy in Hanoi. However travellers will not be allowed to leave the country until they are in possession of a new entry Visa. Depending on the individual situation, either a new passport or an emergency travel document (ETD) could be granted, but the ETD would only allow the visitor to return to Italy and is not valid to allow a journey to be continued through other countries in the region. Whilst in Vietnam, it is advisable to keep passports in a safe place but to travel around with just a photocopy of the document. In respect of unmarried couples, a foreign visitor is not permitted to share a hotel room with a Vietnamese citizen and vice versa. It is important to note that Police Officers do not normally speak any foreign languages so it is difficult to deal with local Police without the help of an interpreter. Prior to reporting a crime, it is advisable to speak to the Italian Consulate in Hanoi or the General Consulate in Ho Chi Minh City. Time zone: 6 hours ahead of Italy (5 hours during the summer). Language: Vietnamese. English is spoken in hotel facilities and tourist areas. Religion: primarily Buddhist, followed by Evangelical Christianity. Other religions are present in small enclaves. Currency: The Dong, which cannot be exchanged outside Vietnam. US Dollars are accepted everywhere and shopping centres, hotels and restaurants also accept credit cards (with a commission of up to 5%). The exchange rate is 26,600 Dong = 1 Euro. In major towns it is possible to withdraw cash from an ATM machine using a credit card. Try to spend all Dong currency prior to leaving the country as it is not always easy to convert the Dong back into Euros or US Dollars. Power grid: 220V AC (50Hz). Sockets used are size A, C and G (with “G” being mainly available in hotels). Telephone: 0084-24 for Hanoi; 0084-28 for Ho Chi Minh City. GSM coverage for mobile phones is 900 MHz and is satisfactory in main towns as well as on the coast. International roaming is available with the main international operators, but at a high cost. If staying in Vietnam for more than a month, it might be advisable to buy a rechargeable phone card as this would reduce the cost of international calls. Internet: (including Wi-Fi) is available throughout the entire country. Internet Cafes are available in most locations, providing computer access at affordable prices. District 1, 70000 HCMC – Tel. (+84-28) 3827 5445 – 3827 5446. Emergency Line (for night calls, weekends and festivities) From Italy 0084 122 8010257; from Vietnam 0122 8010257. The level of healthcare provided in Vietnamese public hospitals is far below European standards. However, there are public hospitals in Hanoi, Danang and Ho Chi Minh City that have the capability to offer an average level of assistance, at least in certain specific sectors (ie midwifery, general medicine and lab tests). If A&E assistance is required, it is important to visit the local hospital but treatment is chargeable and fees, which can be quite high, must be paid in advance of treatment. In the event of illness or incidents which require a more complex or delicate procedure, it would be necessary to be transferred to either Bangkok, Singapore or Hong Kong. It is important to be vigilant when purchasing medicines locally, choose a pharmacy located in a major town as many fake pharmaceutical products are in circulation throughout the country. Water is not drinkable and in some parts of the country the water can be found to be contaminated with viruses, bacteria and even chemicals. It is important to drink only bottled water and do not have ice in cold drinks, as the water used to make the ice cubes is of unknown origin. Peel all fruit prior to eating and it is advisable not to eat any pre-cooked “street food”. Illnesses: Cholera and bowel infections can occur during the rainy season (May to September) and as a result, it is advisable to strictly observe food hygiene measures even while in metropolitan areas and the capital city. Pay particular attention to Measles and Rubella as reported cases have increased over the last two years. Immunity can be assured by having a jab prior to travel. Visitors who have already experienced the virus or have already had a jab against Measles, Rubella or MMR would be immune. Whilst in Vietnam, there is a high risk of contracting Typhus, Hepatitis A, Hepatitis B (which affects 20% of the local population) but also Tetanus, Japanese Encephalitis and Diphtheritis. If planning an extended stay in the country, it is advisable to obtain a jab to provide immunity against Japanese Encephalitis. In recent years, the number of Dengue Fever cases detected by the World Health Organisation has significantly increased and since the beginning of 2017, there have been almost 100,000 cases, some resulting in death. The WHO has placed Vietnam on the list of South East Asian countries where the endemic transmission of the Zika Virus may occur. Between October and November 2016, there were 60 certified cases in the country, primarily located in the southern and central southern regions. Insurance: Prior to travelling to Vietnam, it is advisable to take out an insurance policy to cover the country’s high healthcare costs and the costs involved in the potential repatriation / transfer of the policyholder to a different country for medical treatment. Pollution: Even in the most urbanised areas, pollution rates have reached a significant level, with a serious potential impact on health. Water and air pollution have an inevitable impact on the safety, hygiene and integrity of food. Vietnam is one of the countries in South East Asia that has the highest rate of road traffic accidents. The vast majority of incidents are due to the chaotic levels of traffic and a distinct lack of regulation in metropolitan areas. For this reason, it is advisable to always wear technical clothing, despite the hot and humid weather conditions. 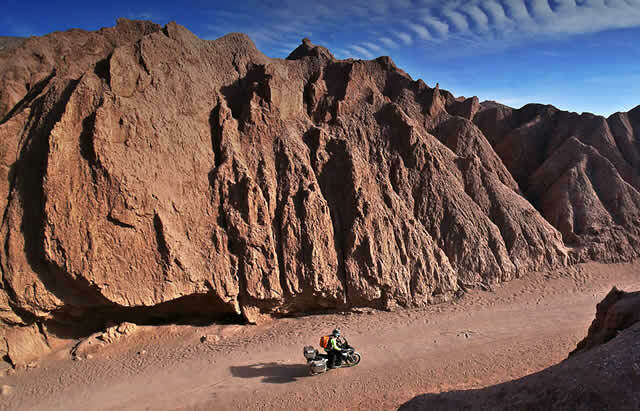 If approaching the Borders by land and on a private motorcycle (although many choose to have their vehicle shipped with an international courier) you obviously already have the experience and equipment necessary to travel in any part of the world. Those who decide to arrive in Vietnam via a comfortable flight and choose to hire a motorcycle locally, must ensure they have packed appropriate technical clothing, a set of universal soft side bags, a comfortable backpack (waterproof if travelling in the rainy season), a First Aid kit, puncture repair kit, USB cables, a universal smartphone holder and a lock with a steel cable to secure a helmet and bags to the motorcycle during short stops. GIVI has recently launched a number of storage solutions that secure either around the waist or attach to the leg which are ideal for storing and carrying small but important items and documents. (price correct as at November 2017). Vietnam spreads across a latitude of approximately 1800km, therefore the weather can vary greatly between the north and south and this is also true of the main towns of Hanoi in the north and Ho Chi Minh City in the south. Whilst the south of the country is cooler, humidity levels are the same right across the country. Weather conditions can vary enormously according to the season. Hurricanes, more likely to be tropical storms, occur between June and the beginning of November and this is known as the rainy season. As this time of year is particularly affected by changes in the weather, motorcycle trips during the rainy season should be avoided. NORTH: characterised by two seasons; Winter from November to April (when temperatures range between 16 and 23C degrees) and Summer from May to October (when temperatures range between 25 and 35C degrees). With a high level of humidity, heavy rain and violent tropical storms. CENTRE: A tropical climate, with two main seasons: the moist and the dry. The latter, “dry” season takes place from November to April. If travelling to the centre of the country, it is advisable to travel by motorcycle between the months of February and April. SOUTH: Sub-equatorial climate with a regular pattern of two seasons: a “moist” one from May to November, with daily storms and a “dry” one from December to April. It is important to note that if hiring a motorcycle locally, you would be requested to leave your passport with the rental agency. The internet is full of tour operators and rental companies located in Vietnam and below you will find details of a few we have selected. Calling themselves “the pioneers of tour enduro in Vietnam” and offering tour packages ranging from 1 to 14 days to match any budget and driving experience. A real adventure indeed! On the website, the tours are presented with images and stories. However if travelling with friends, the company can tailor-make a tour especially for your group. The motorcycles available are reliable, modern and well known: Yamaha WR250R, Honda CRF250L and Honda XR250L. Small cylinder capacity motorcycle rentals, including the KTM Duke 250. Compact enduros are also available in the parking lot including 125cc and 150cc. The centre is situated in town, with offices located in Ha Noi and Da Nang and the company caters for guided expedition tours. The website features a useful FAQ section. An association based in Padua and founded in 2005 by a team of motorcycling experts who despatch groups of motorcycle riders all over the world.